Are you ready to treat yourself to a self-care vacation focused on wellness, relaxation, scrumptious food, and fun? 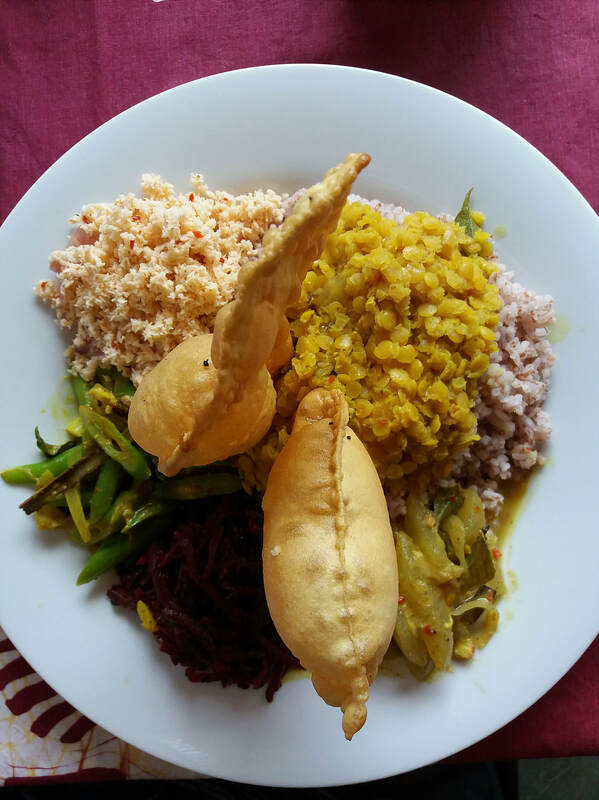 Join Vegan Epicure Travel and Veggie Magnifique on a weeklong adventure in beautiful Sri Lanka. Together, we'll explore the incredible natural beauty of this dynamic country, eat fresh plant-based food, and give ourselves the mental, physical, and emotional pampering we need to recharge our batteries. Inspiring, engaging, creative, and kind: those are just a few of the words we use to describe Ann Christine, the brunette half of the Parisian holistic wellness and vegan lifestyle blog, Veggie Magnifique. Ann brings her wisdom, insightfulness, and positive energy to our retreat as our group yoga instructor and workshop leader! When she’s not dishing health + wellness tips on VeggieMagnifique.com and performing as a singer and voice-over artist, Ann delights in talking Dharma over fine Japanese tea, hanging out in pigeon pose, and traveling the world. She looks forward to meeting you in Sri Lanka in October! Vegan Epicure Travel co-founder Aurelia d'Andrea made her first trip to South Asia in the '90s, backpacking solo through India and Nepal and falling in love with the kindness and generosity of the people she met along the way. 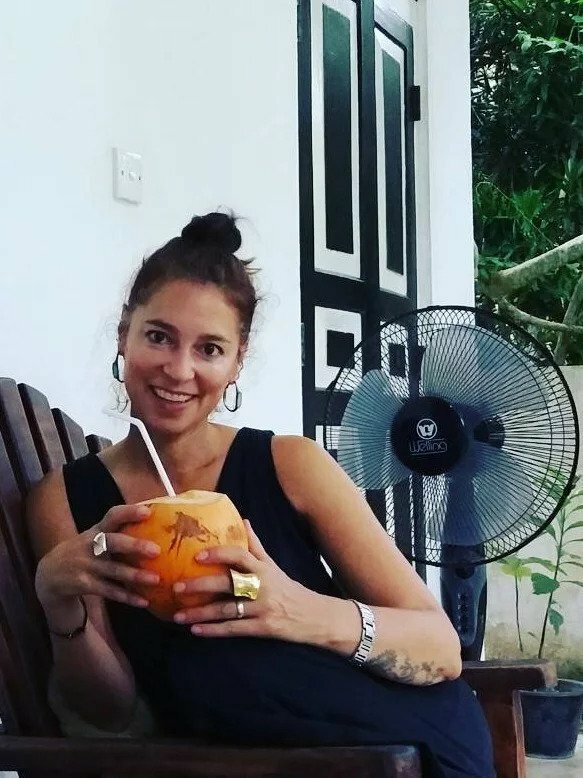 Since then, she's transformed her passion for travel and background in journalism into a career, penning travel guides, serving as travel editor at VegNews magazine, and guiding guests to her favorite vegan travel destinations around the globe. She and Vegan Epicure Travel are thrilled to be collaborating with Veggie Magnifique to guide you on this life-affirming adventure in beautiful Sri Lanka! The adventure begins just outside of Colombo in the seaside town of Negombo, where we’ll get to know each other at our welcome brunch brimming with the unique and delicious flavors of Sri Lanka. Next, we’re off to the historic colonial town of Galle Fort for a guided tour and an expert’s introduction to the fascinating local culture. Along the way, we’ll make a stop for a special wellness surprise! Then we’re off to our home for the next six nights. After settling into our rooms, we’ll relax poolside and enjoy a scrumptious meal together before calling it a night. We have a big day tomorrow! Our day begins with an energizing, spirit-lifting yoga class with our fabulous co-host, Ann Christine. 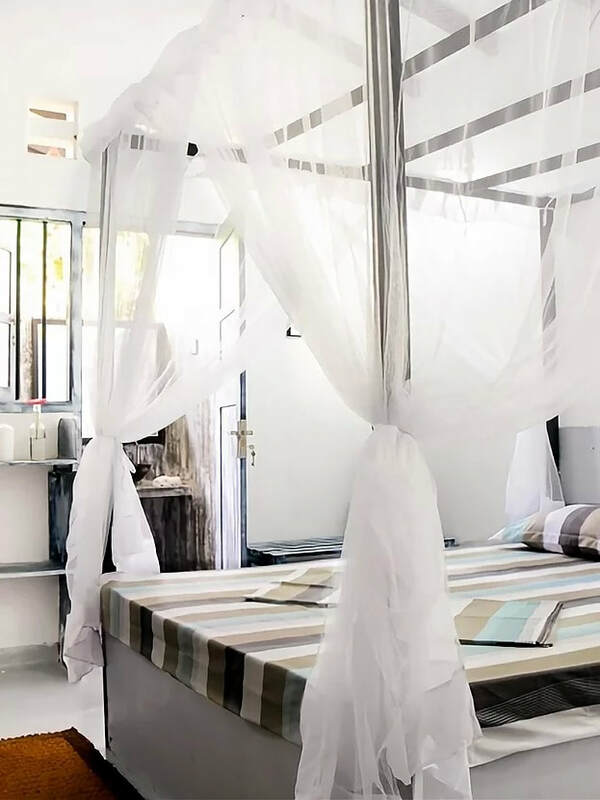 After breakfast at our guest house, we’ll head off to a nearby village for a market tour followed by an unforgettable cooking class with a local chef. After feasting on the meal you’ve prepared, we’ll head back to our guest house for a special wellness workshop led by VET’s Aurelia d’Andrea. For the next two hours, it’s relaxation time by the pool, followed by a nourishing Sri Lankan dinner and more getting-to-know-you time. Today’s adventure kicks off in the beautiful Indian Ocean with a surf lesson! This confidence-building experience will leave you feeling energized and ready for the afternoon’s big event: volunteering at a local animal sanctuary! We’ll deliver lunch to the human staff and share a meal together before digging in and helping socialize 1,400 (!) former street dogs and cats. After, we’ll trek back to our guest house on foot, meeting locals along the way and taking in the beautiful natural scenery. If we’re lucky, we’ll spot some macaques or langur monkeys in the trees! After an incredible Sri Lankan feast, you’ll settle into bed and sleep like a baby. We’ll kick off another beautiful day with a mood-boosting yoga class with Ann, followed by a rejuvenating poolside breakfast. 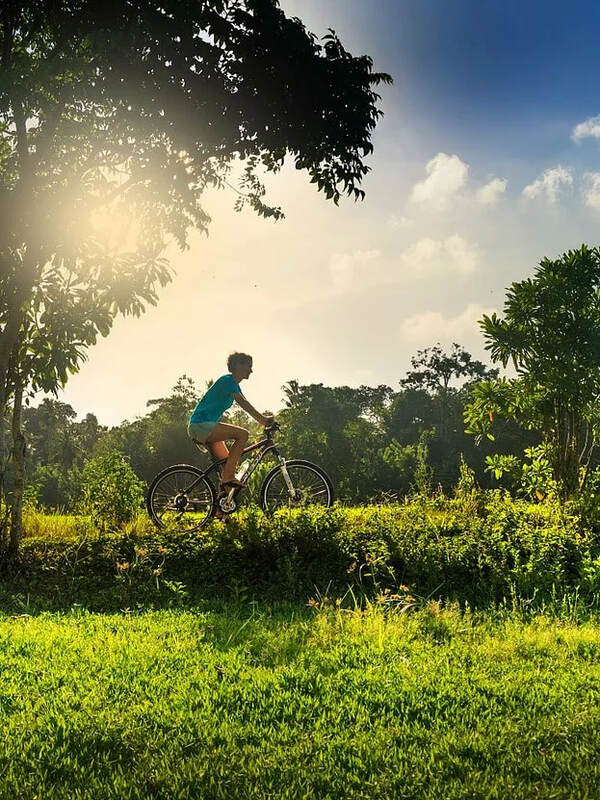 Next, we’re off on a cycling adventure with a local guide who’ll take us on a scenic spin through verdant rice paddies to a sacred buddhist temple, and introduce us to the region’s flora and fauna along the way. We’ll stop for lunch at a private home--our guide’s mother’s home, to be precise!--and share a special meal together. 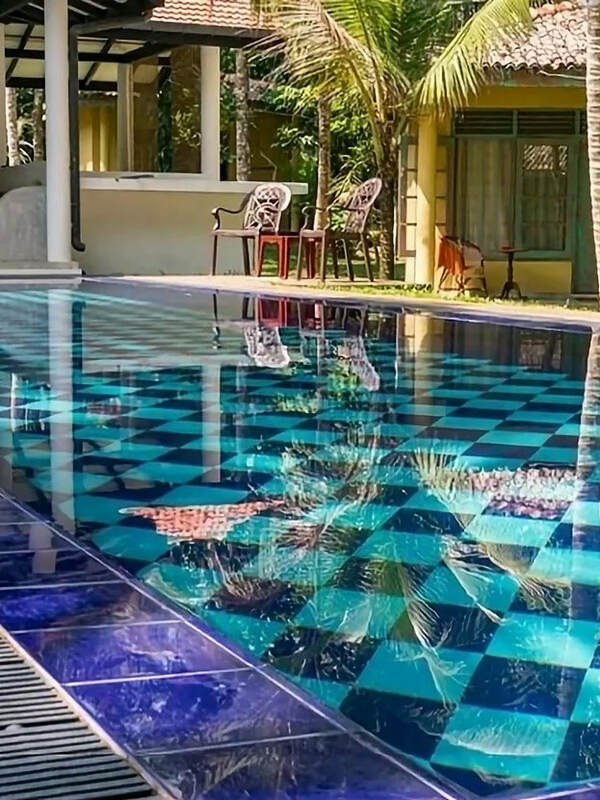 Back at our guesthouse, we’ll have time to relax by the pool before our evening meal. Dinner will be served early tonight because we’ve got an extra-early morning tomorrow! Today, we’ll set off before sun up for the journey to Udawalawe, one of the most breathtaking, fauna-filled nature preserves in Sri Lanka. We’ll stop for king coconuts and a traditional Sri Lankan breakfast along the way, then climb into jeeps for our forest safari where we’ll see elephants, water buffalo, crocodiles, and a variety of bird species. Afterward, we’ll enjoy lunch at a jungle lodge before setting off back to our guesthouse. As the afternoon shifts to evening, we’ll head off to the beach for sundowners by the sea shore, and toast to our time together. After dinner, we’ll head back to the guest house where a relaxing swim beneath the stars awaits! On this, the penultimate day of our adventure together, we’ll begin with a rejuvenating morning yoga class with Ann, followed by a hearty breakfast at our guest house. Next, we’re off on a discovery mission to learn all there is to know about one of the world’s most celebrated spices, cinnamon! We’ll explore a cinnamon tree farm and taste the freshly cultivated spice, and learn how it is integrated into the local cuisine. After lunch, we’ll make our way to a nearby tea plantation for guided visit and crash course in Sri Lanka’s tea-producing heritage. We hope you love tea as much as we do, because there will be a tea tasting! Before dinner, you’ll have time to relax beside the pool, go for a bike ride or walk, or pack for the return visit home. Our final day together begins with a spirit-lifting yoga session with Ann, followed by a farewell ritual to commemorate our time together. 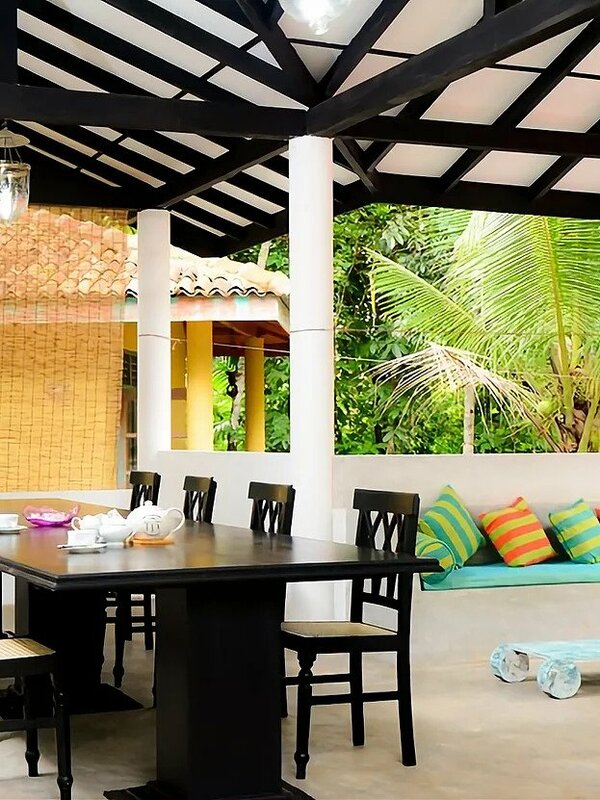 We’ll savor a sumptuous brunch together, then bid adieu to our guest house hosts before heading back to Colombo. 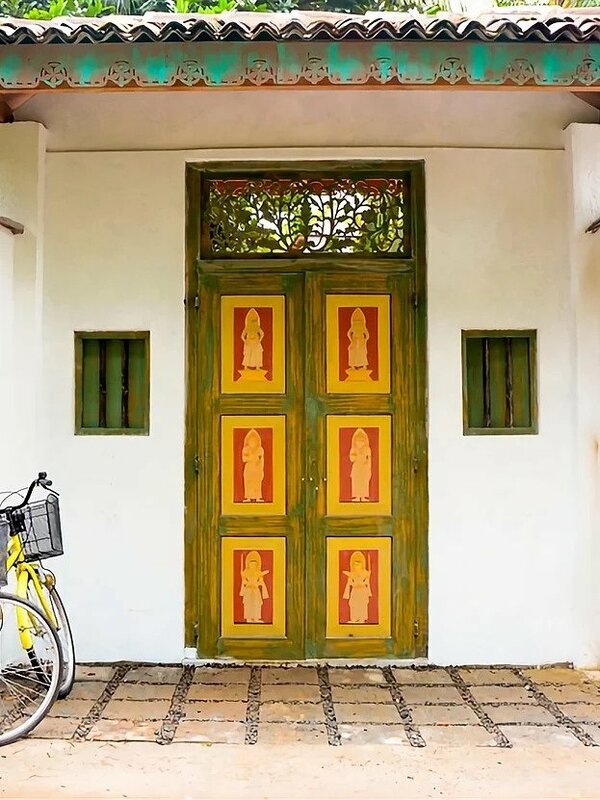 Depending on where you’re off to next, we’ll either bid farewell to one another at Colombo Fort Railway Station, or Bandaranaike International Airport. Until we meet again!